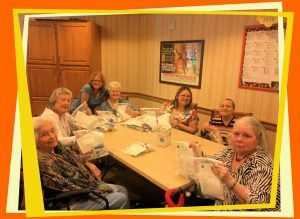 Had another wonderful time with our senior volunteers making Boo-Boo Bags. They are being donated to Connors and Millie’s Dog Rescue. They give them to their amazing new pet parents at their rescue events.